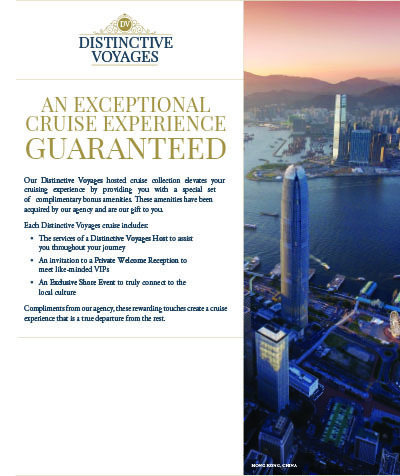 • The services of a Distinctive Voyages Host to assist you throughout your journey. 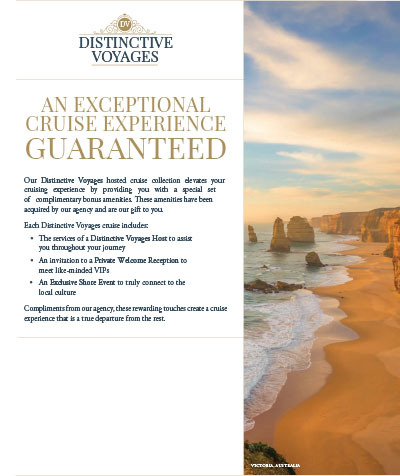 Your Distinctive Voyages Host will be onboard, easily accessible and always ready to answer your questions. 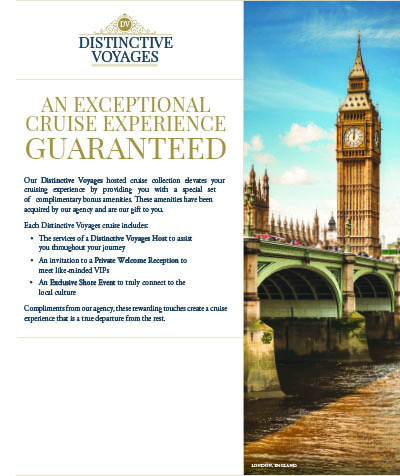 • An invitation to a Welcome Reception to meet like-minded VIPs You’ll meet and become acquainted with the other VIPs in the Distinctive Voyages group. 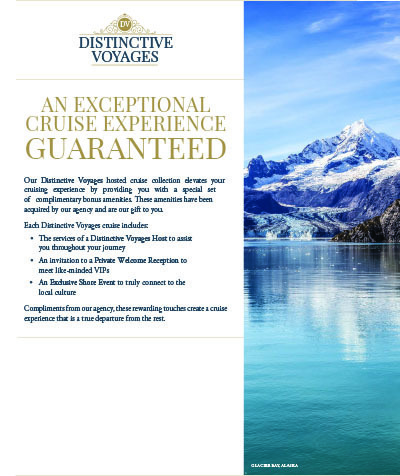 These acquaintances will soon become fast friends as you see them throughout the journey and on your Exclusive Shore Event. 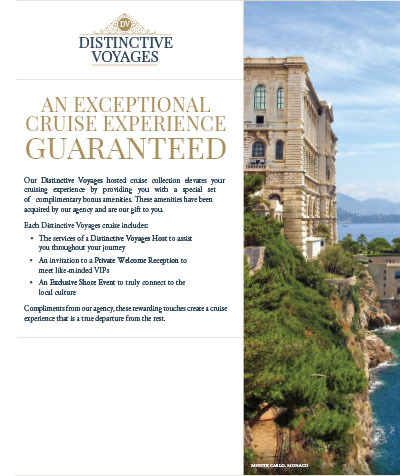 The reception will be organized by the Distinctive Voyages Host, who will discuss the itinerary in depth, review the details of your Shore Event and answer any questions you might have. 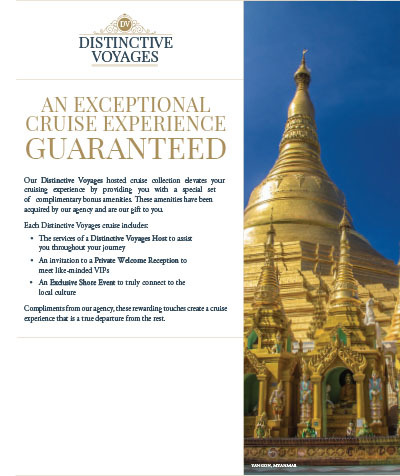 • An Exclusive Shore Event to truly connect to the local culture Guided by local experts, the Exclusive Shore Events are specially-chosen excursions that reveal the true nature of the people and places you will visit, helping you connect to the culture in a very personal and unforgettable way. 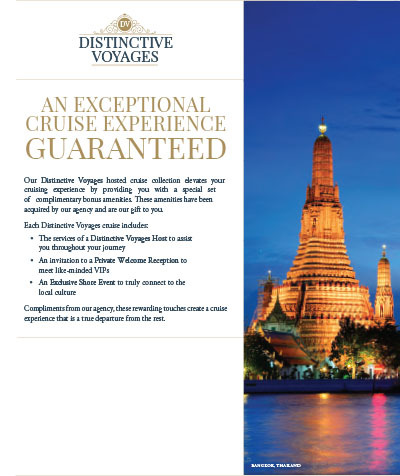 Compliments from our agency to you, these rewarding touches create a cruise experience that is pleasurably distinctive from all the rest. 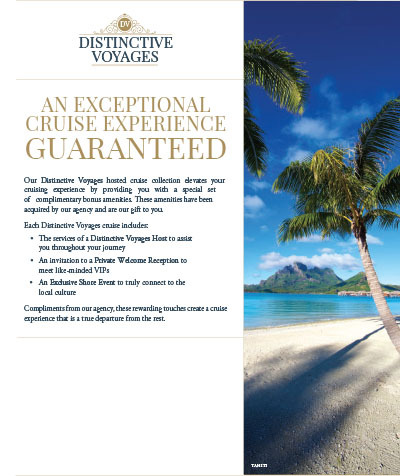 Our beautiful Distinctive Voyages brochure will inform, entice and enrich your cruise vacation experience. 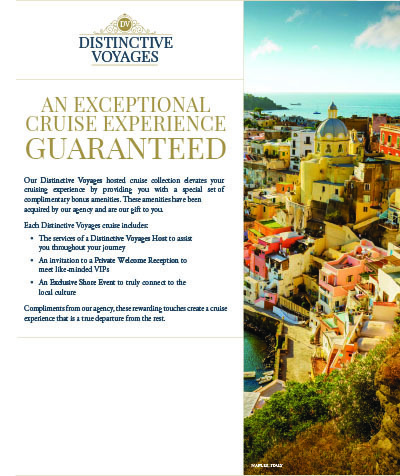 These flyers are a great resource to help you identify which Distinctive Voyages sailing you would like book. 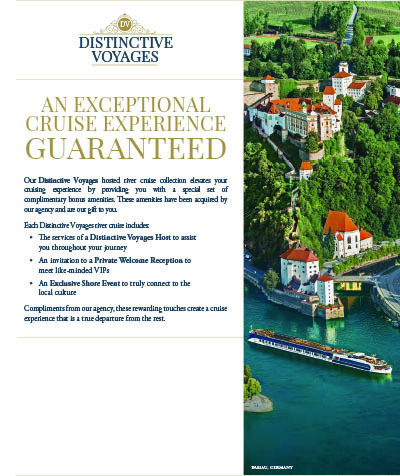 Below are the sail dates for all our Distinctive Voyages sailings in 2019. 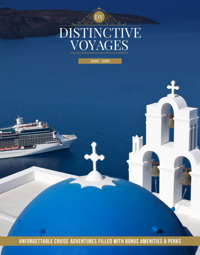 Select the month tab for the month you would like to view.